Only recently, there has been a number of breakthroughs in Ophthalmic technology. This is because the area around the eye is so sensitive there was already great fear in completing these treatments. 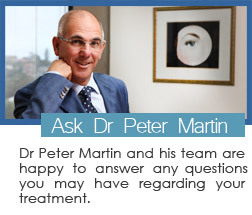 Dr Martin has been working on eye treatment since 1978 and his expertise along with these new technologies help us give you the best results in Cosmetic Medicine. Each technology has been tried and tested and provides you with security and safety during your treatment. If you have any questions, about any of the below technologies, please do not hesitate to contact us. Using high-frequency radiowaves this technology is a minimally invasive surgical device that allows for a bloodless, micro smooth incision with minimal tissue alteration. Without the need of complex surgery, the Phaco machine can remove cataracts from the eye breaking the cataract into tiny pieces and then suctions those pieces from the eye through a very small incision. The Field Analyser is a tool used to accurately measure a patient’s visual field. This technology is the recognized standard of care for early diagnosis and management of ocular diseases resulting in visual field loss. Our retina camera creates advanced retinal images for pinpoint diagnosis and increased accuracy. A-scan biometry is used to calculate the axial eye length used in the calculation of intraocular lens power during the pre-operative assessment for cataract surgery. A Pachymetry test is a simple, quick, painless test to measure the thickness of your cornea. With this measurement, your doctor can better understand your IOP reading, and develop a treatment plan that is right for your condition. The procedure takes only about a minute to measure both eyes. 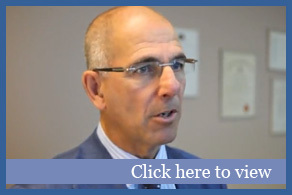 If you want to see how this Ophthalmic technology can help you, then contact Dr Martin at Harley Place Day Surgery. By using this surgery and we can use our experience and expertise in Ophthalmology to give you a pleasing, professional result that lasts. Contact us for a consultation.